Korah stirred up some followers, insisting on equal status for all. Then he and Moses had the equivalent of a modern-day smack down. Moses won and was affirmed by God; Korah lost—big time; the ground beneath him opened up and he and his family fell in and died. Although Jesus would later usher in these changes, that is not what God had put in place in Korah’s day. 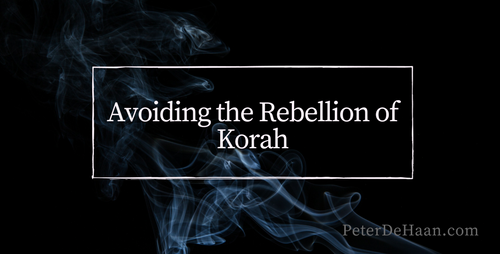 He had a different plan and, no matter how well intended, Korah opposed it—and will forever be associated with a failed rebellion against God.